I really like her outfit. I sewed the top myself and the skirt is from Josefina’s pre-BeForever meet outfit. The next few pictures are my very favorites! Doesn’t she look so heroic? She looks so thoughtful and bold, ready to take on whatever lies ahead. …to explore the unknown and live the fated. What a writer you are, Chloe. 😉 Ready to go on an adventure, are you? She looks like she’s resting and panting hard. I could edit this one and put some words on it. She’s in my favorite tree! This tree in my front yard is the perfect spot for photos. I’m always so pleased with the way they turn out! I won’t ask you which one was your favorite, because that’s a lot of photos for you to go through and count each one. LOL. 😉 You can if you want to, but instead, why don’t you tell me what you thought of all of them? Were they pretty neat or pretty lame? P.S. Don’t forget to vote for which photo story series you’d like for me to make a season 2! Oh my word! These are STUNNING, Madi! These photos are Gorgeous!!! I Love the photoshoot! Choe is beautiful and the lighting and setting look adventurous. You sewed her shirt? It’s lovely! 😉 I really like Chloe’s outfit. Great job and Happy birthday Chloe! P.S. I’ve been considering saving up for a camera. The problem is, I don’t know what camera! I’ve done some research, but was wondering what camera you use and if you have any recommendations? P.S. That’s super cool you might be saving up for a camera! I use a Canon EOS 60D. It is really expensive though (I didn’t buy it, it was a hand me down from my sister, who’s a photographer :P), so I don’t know how much you want to save up. I definitely recommend Canon, though, they have really great cameras. My first real camera (besides an iPhone :P) was a Canon Powershot, I believe. I’m not sure how much it costed, (another hand me down from my sister) but it was a pretty good starter camera. Are you saving up for an expensive one or just a good one to start out with? Awesome! If you do get the Canon Powershot, I hope you have a lot of fun with it. 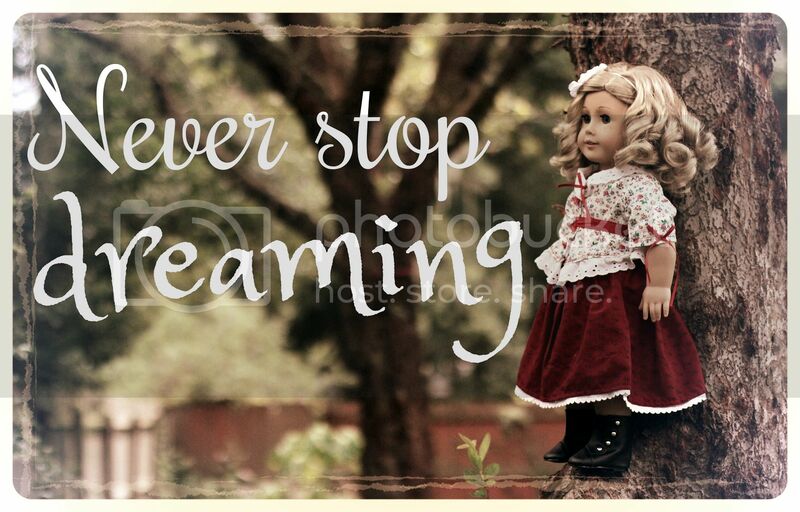 Will you use it to take pictures of your dolls for your blog? Chloe Zoey is ADORABLE! ? Great photos! ? Ps: Out of all your dolls which one is your favorite? (I know hard question?). ?-Kiki-? Your welcome!? I know it’s such a hard question! Sometimes when I try to pick my favorite doll it’s hard to choose! So pretty! Great pictures! 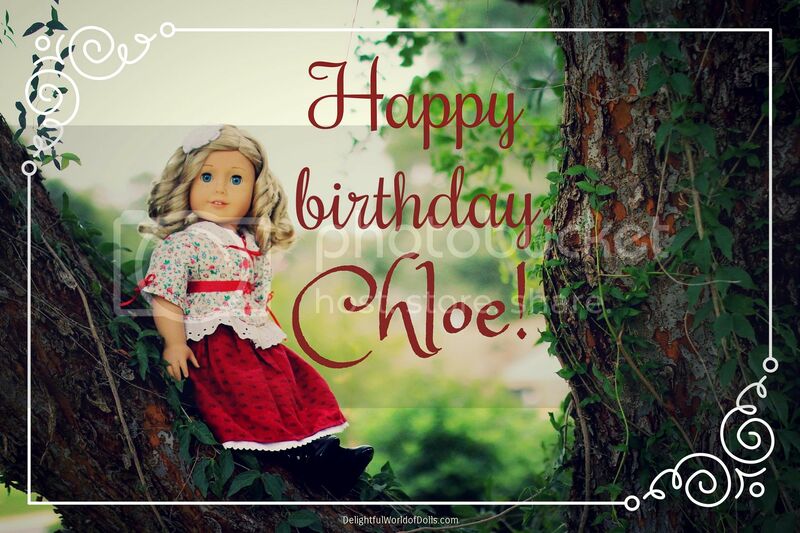 Happy Birthday, Chloe! OH MY UNICORN THE BEAUTY, THE GRANDEUR, THE DAUNTLESS D0LLY FACING THE WORLD WITH SPIRIT IN HER EYES OF BLUE, FRECKLES DANCING, AND HAIR OF SPUN LIGHT! Happy Birthday Chloe!! You look so pretty in that dress! AHHH THESE ARE AMAZING! They are my all time favorite photos of yours!!! These are so pretty! I can definitely tell your photography has improved!